In the early September 2011 the strategic communications company Publicity Creating expanded package of PR-services for its clients. Among the new services companies, in particular, can be separated online reporting covering events in real time: press conferences, round tables, forums, presentations etc. The main advantage of online reporting is increasing the audience of the event in 10-100 times, bringing Internet users who watch the event and instantly receive important messages said speakers. Specialists of Publicity Creating presented in the hall during the event usually conduct professional online reporting on the pages in social networks (primarily Twitter and Facebook). Also the text of reportage may be supplemented by photographs and video-inserts from event on request. Publicity Creating has experience of online reporting from offline events already. 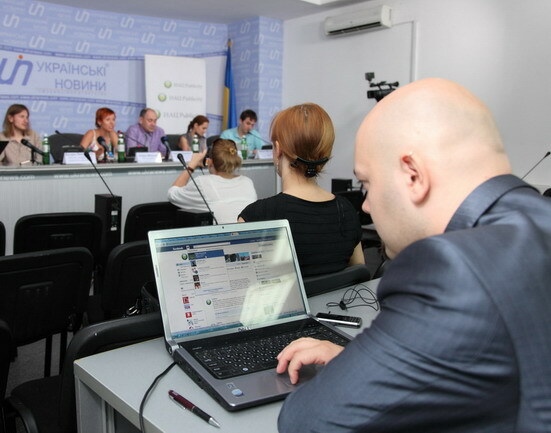 For example, thanks to online broadcasting to Twitter and Facebook, active audience of round table "The Ukrainian market of commercial PR: out of the crisis in 2011? ", that was hold in the information agency "Ukrainian News" in June 2011, was increased to 3000 people. Online observers actively participated in the roundtable, asking experts questions in social networks along with the audience, really present in the conference hall. So successful testing of new technology hasn’t left any doubt that new service will interest many clients. "With the development of Internet communications traditional off-line activities, especially the press conferences, forums and round tables, need active integration into the online space. Online reporting is one of the striking examples of the possibility of such integration. It is demanded in this business season, because it expands the audience of the event tenfold and rises its interactivity" said General Director of Publicity Creating Valeriy Kureiko.